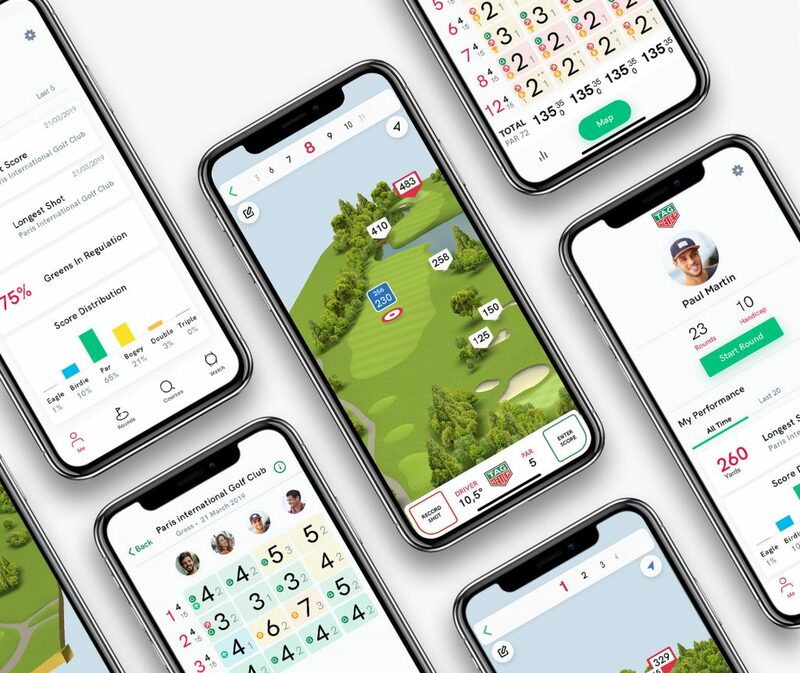 3D COURSES, STATS, INDEX : DISCOVER TAG HEUER GOLF The ultimate app for all golfers. 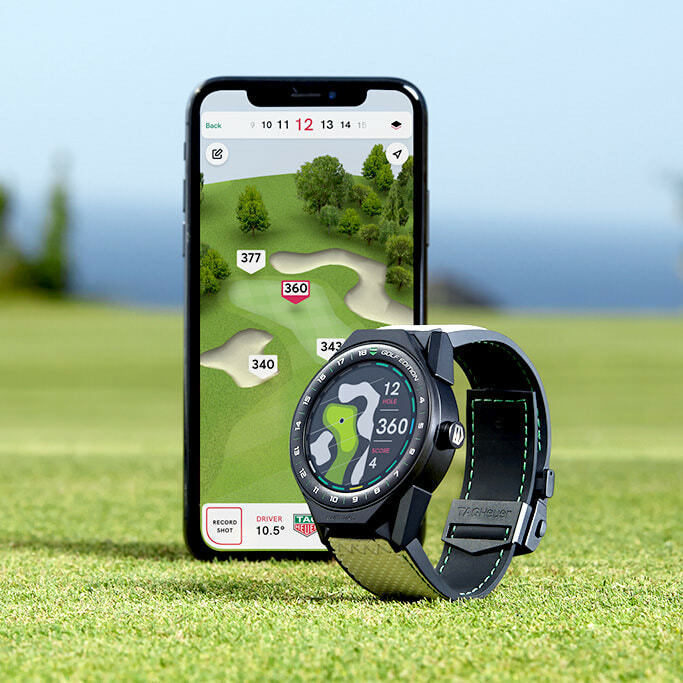 Track and improve your game with TAG Heuer Golf from your smartphone or directly on smartwatch. No need to look for your phone in your bag anymore. With TAG Heuer Golf on your connected watch, a simple glance at your wrist is enough to know the distance to the green, know the score or track your shot distances. Amazing 3D renderings thanks to TAG Heuer Golf technology. Analyze the course, evaluate the landscape and track your progress with high-contrast and clearly visible graphics. Even in bright sunlight. Greens, bunkers, water hazards, trees : TAG Heuer Golf measure the distance to all the hazards on the golf course. Pick the right club to use. Measure your shot distances with an amazing accuracy. Then review your average distance with each club and evaluate the accuracy of your drives. Entering your score is extremely easy. Whether you play Stroke Play, Match Play or Stableford, TAG Heuer Golf will calculate your Gross, Net and to Par scores. Track your progress and improve your skills with comprehensive collections of stats. 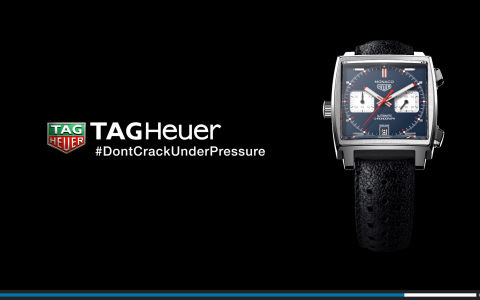 Just record your strokes, and TAG Heuer Golf will do the rest. Enjoy TAG Heuer Golf everywhere, at any time. Whether from a smartphone or a connected watch, your caddy is within reach. The app requires Android 5 or higher, and for Apple users, at least an iPhone 5s running iOS11 or higher. For more freedom, play hands free with the app on your connected watch. 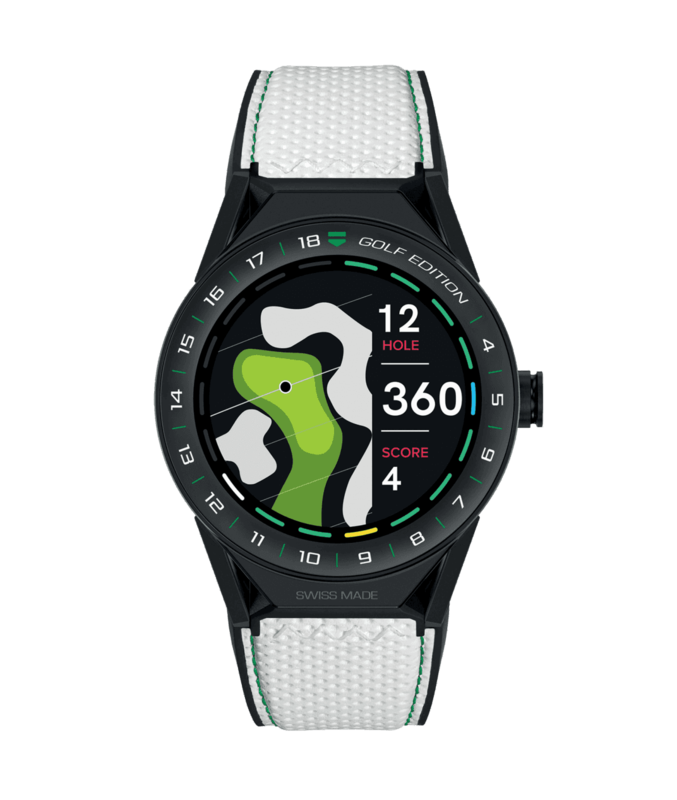 Explore more than 39’000 golf courses worldwide, directly on your wrist. 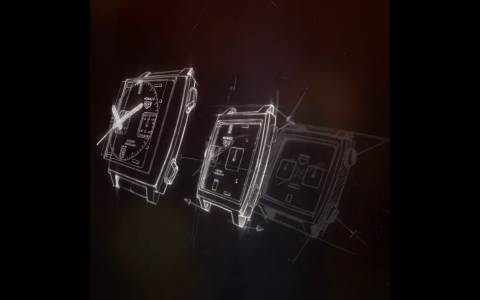 TAG Heuer technology displays vectorial, interactive and visible maps, even in bright sunlight. 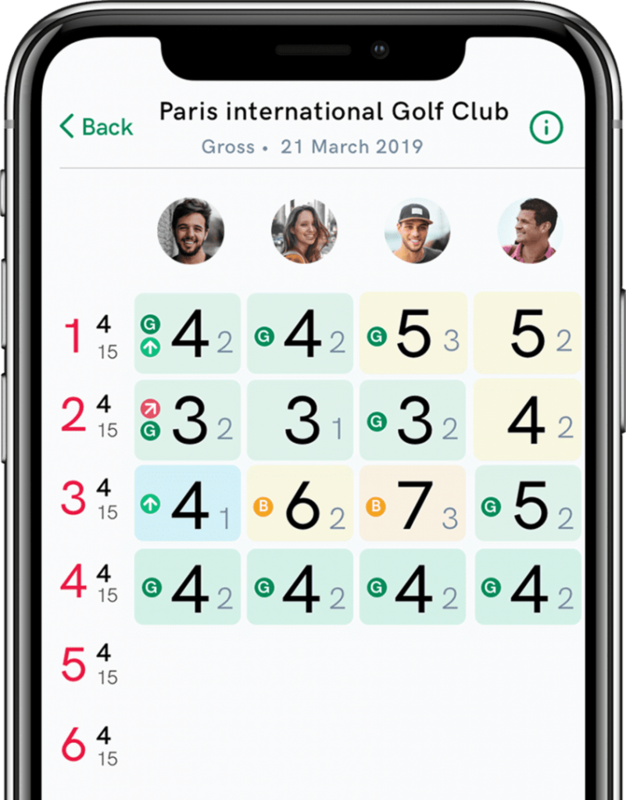 Enter your scores easily on your watch, for up to 4 players simultaneously. Track your progress and the scoreboard with just one tap. These will be automatically shared with your phone. How long is this drive ? Measure your shot distances with impressive accuracy. All the statistics are automatically shared with your phone. The app records various key indicators to help you improve your skills. Review your performance and benefit from dedicated advice depending on your index and situation to complete the best shot you can do. TAG Heuer Golf will automatically refresh the stats and track your progress after each shot recorded. 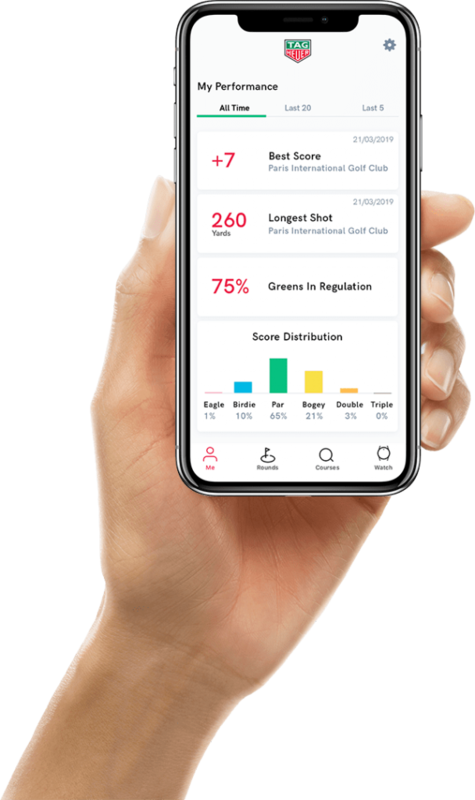 Average distance with each of your clubs, index calculated as if you were participating in a competition, stats analysis : a dashboard displays the key indicators of your game and lets you navigate easily through the statistics. 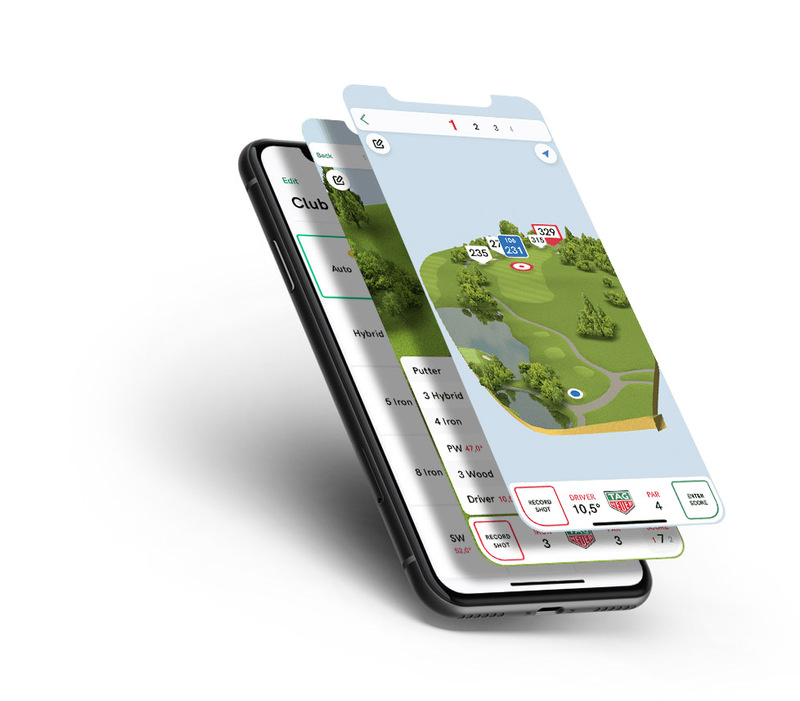 As a connected caddy, TAG Heuer Golf helps you to better understand your game and improve, step by step. TAG Heuer records your gross score in real time and if you wish, your putts and penalties, for up to 4 players. Easily track your scores and live ranking with optimized displays. 5 or 6 Iron, Wood, Hybrid : TAG Heuer recommends you which club to use, depending on the distance of the shot to play, and the lie on which you are. Save the positions of the ball to measure your shot distances. It will gather statistics to help you understand your game. 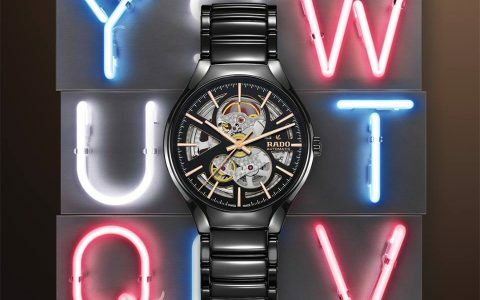 The combination of Swiss watchmaking and the most advanced connected technology. An elegant and versatile watch to take with you to all greens worldwide.